I'm still alive and all is good. I ended up getting a new to me lathe. 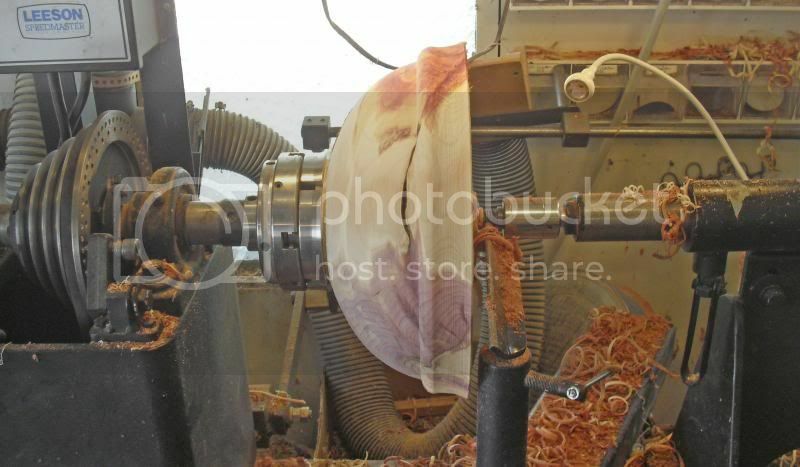 It's an old Delta Rockwell variable speed wood lathe. I can't stay off it:o) I started gathering green wood and scraps to make stuff out of. 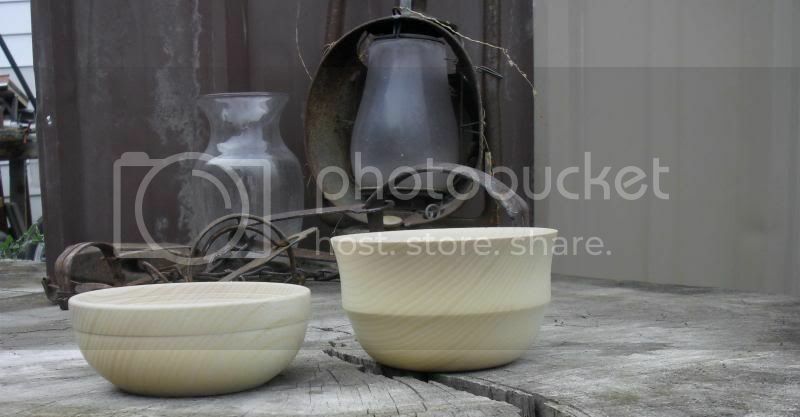 Bowls have been my interest here lately. These were made out of a piece of dry Juniper that my wife wanted me to toss in the trash. One of the members in my wood turning club gave me a piece of Box Elder burl. I made 2 bowls out of it. This lidded box. 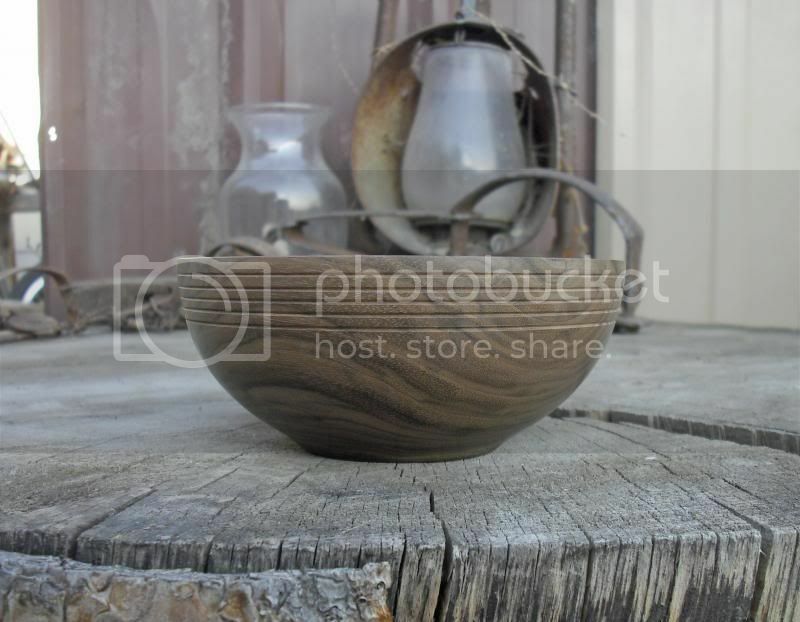 And this bowl. Notice the red stripes. Box elder is about the only tree that does that. 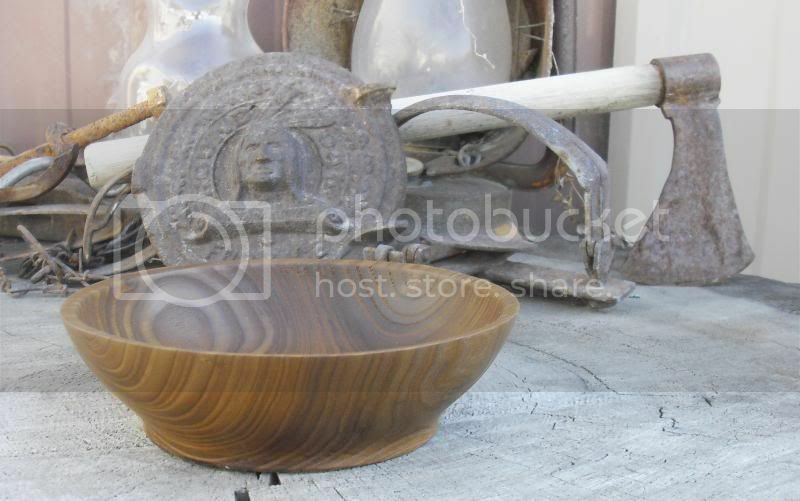 Here it is all finished up next to an apricot goblet that I turned. 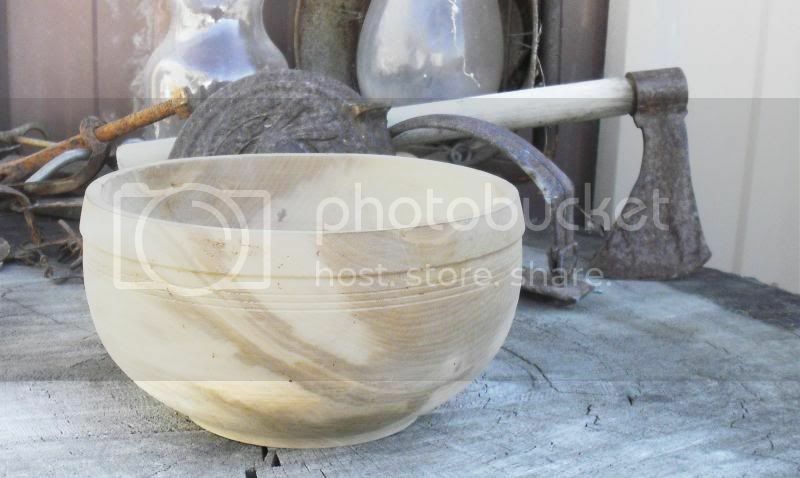 I was given a piece of box Elder that one of the guys had turned a green rough bowl out of. I turned it round and sanded it a little and came up with this. It's pretty big at 10" in diameter. Real nice work there. 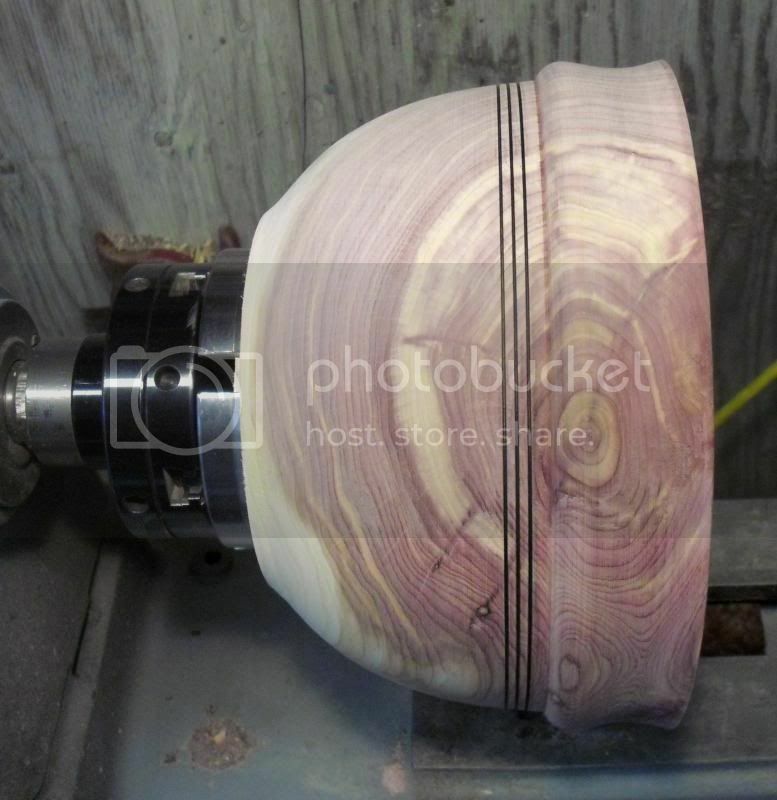 Wood turning can be very addictive, you can't stop with just one. Thanks for sharing them with us. I was given a few pieces of green cedar that was cut down by the local power company. Some pretty wood inside those logs for sure! There was a giant piece of that cedar in the little pile that I gathered. I layed it out a little and trimmed it up a little. 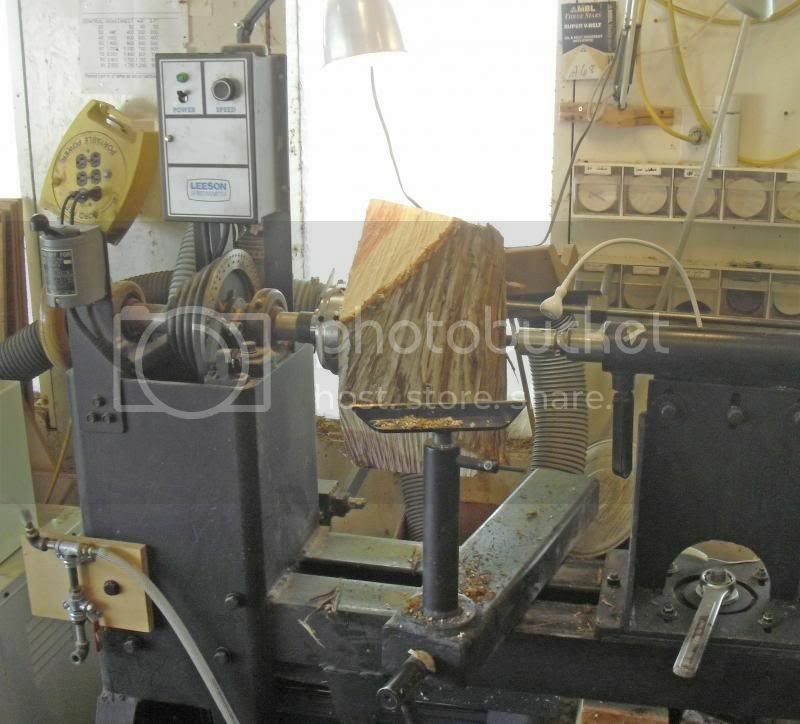 A friend in the wood turning club has a big home made wood lathe. I went over to his place and set everything up. 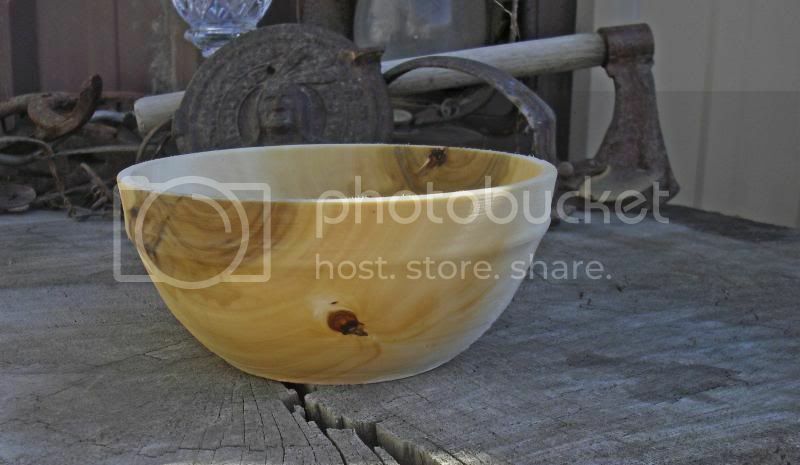 There was a bunch of wood turned into chips on this one! It cleaned up at 14" in diameter. After I had the outside cleaned up I started in on the insides. 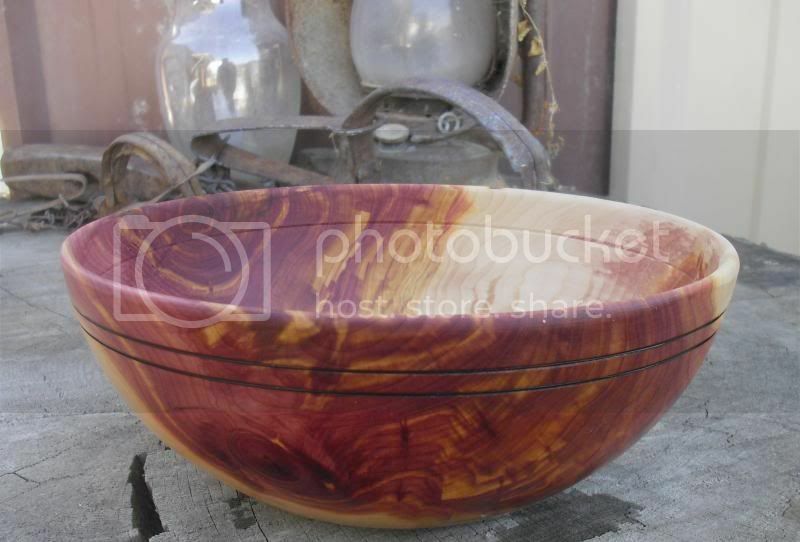 Great looking bowls Powder Keg. I never thought of box elder as anything but a weed tree before, it grows like crazy here. Now I know different! That cedar must have smelled nice. 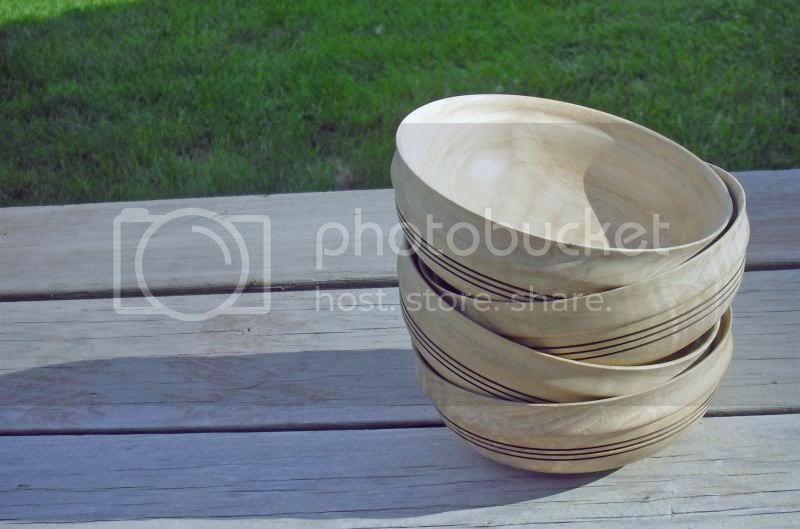 Three weeks ago or so I made a set of Walnut Ice cream bowls. 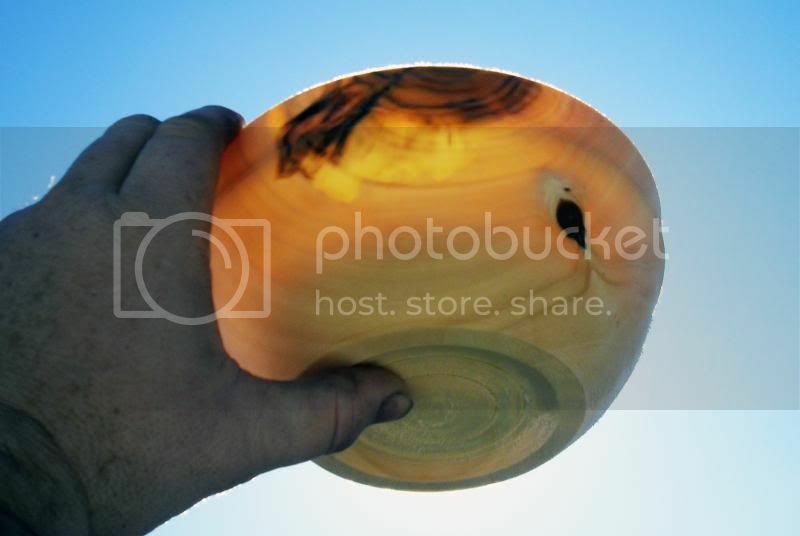 They are 3" in diameter. I also made this one out of Walnut. Thank you for posting . It is always great to see good workmanship in whatever medium and as is often said here Pictures are almost mandatory . 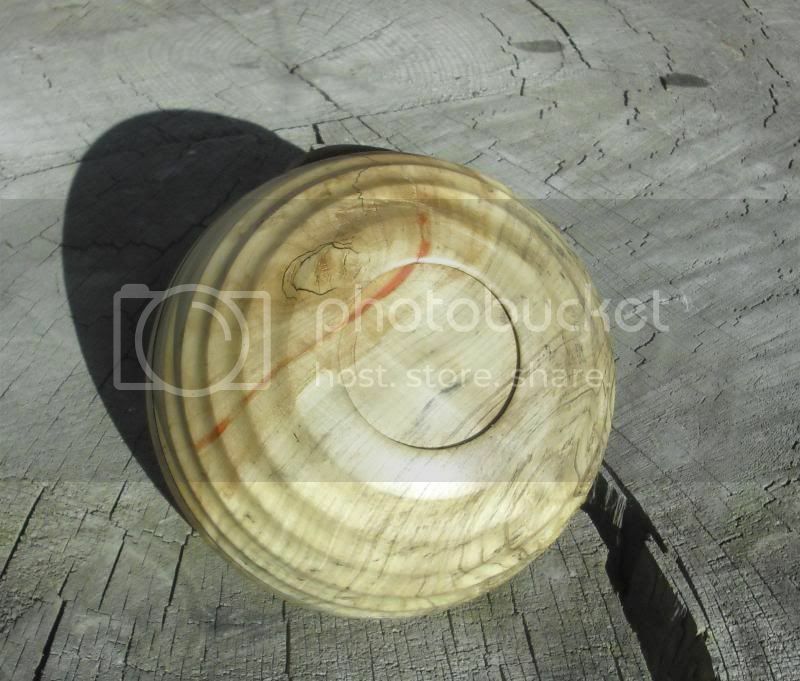 I particularly liked the turned Cedar WOW what colours. Although I may never use it, your writing about boiling the turned green timber article and packing it to minimise cracking etc, is something new to me. I Learn stuff every time I visit here and that is why MadModder is my favourite hobby site. Wes there's some outstanding stuff in those pictures - fantastic. I saved some of the bigger Yew logs when I had to take one down last year to make room for the kitchen extension - I must get round to having a go at them on my Union Graduate wood lathe. Absolutely beautiful, I love the one with the top/lid. Procrastination; now is that an art or a craft skill? I was given a large piece of Ash a couple weeks ago. 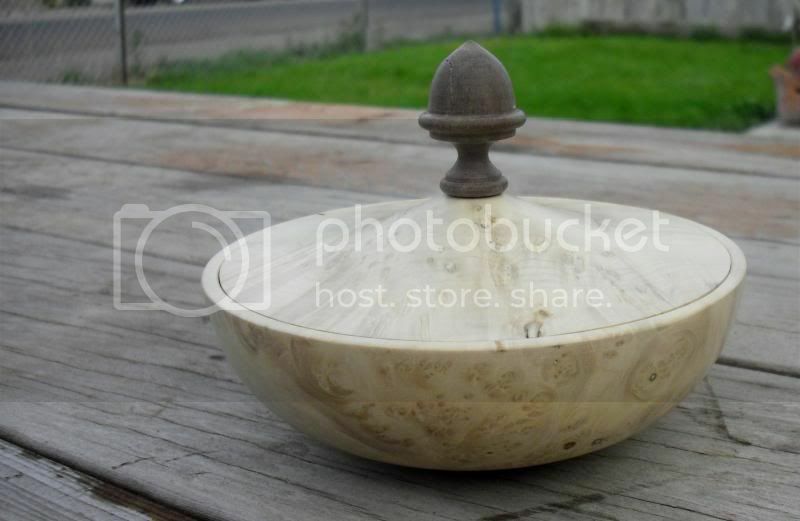 It had the promise of a large wooden bowl hid inside. 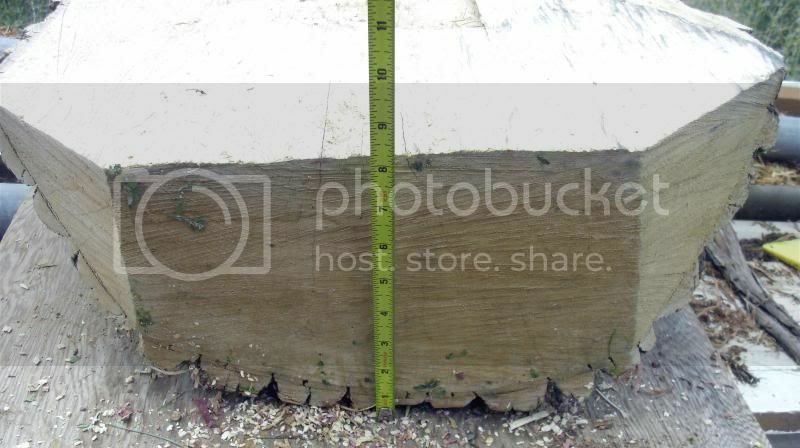 It measured 24" long and 20" wide. There were a couple smallish cracks on the ends but I thought they would disappear. 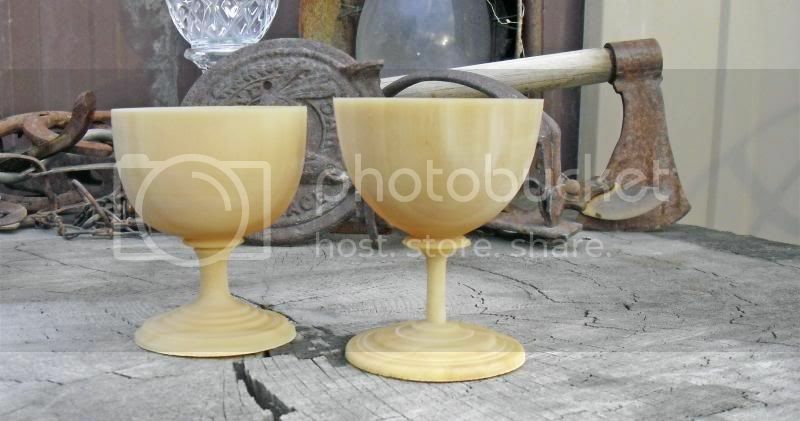 I did manage a couple Ice Cream Goblets:o) and a couple little bowls between 4-5" in diameter. 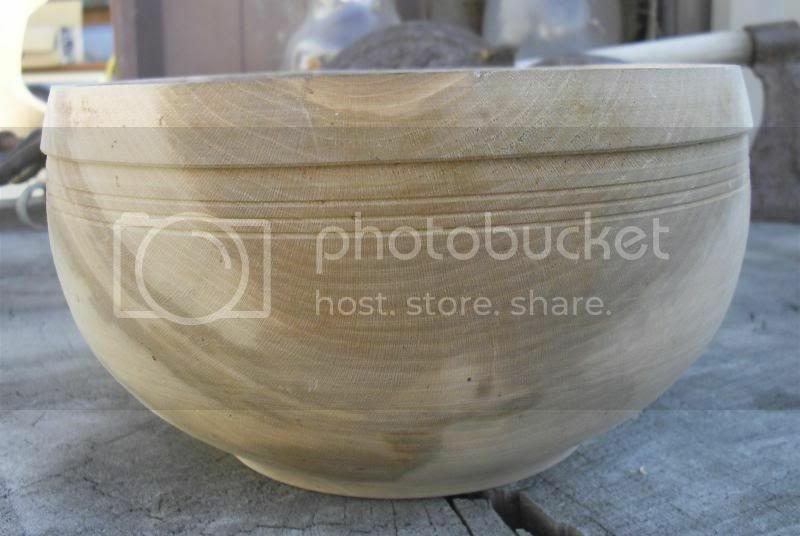 Here is one of those Ash Bowls all finished up. I turned and burned this one out of Cedar from Texas today. 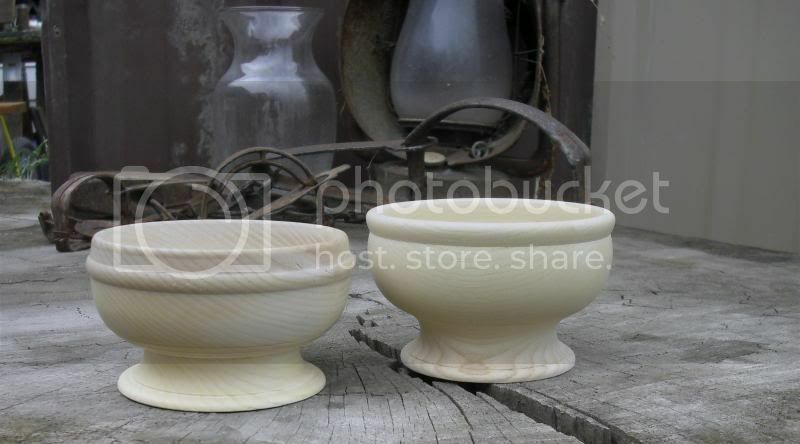 Those bowls turned out great! 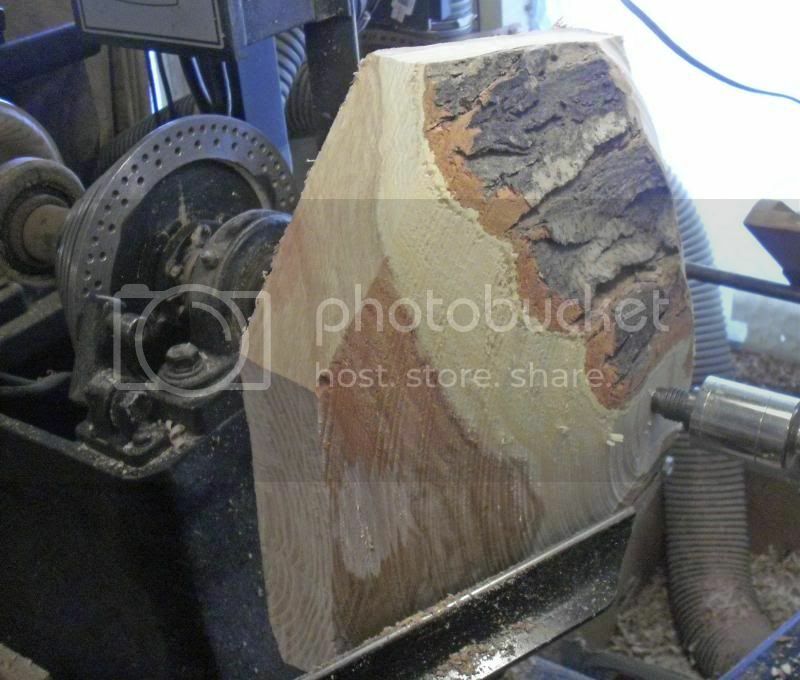 Ash has such heavy grain, I would think the would be hard to do as cleanly as you do with those. Really nice work, and nice shapes. Too bad you don't live nearby. I'd give you all of the wood you'd ever need in any size useful. Thanks for showing your work. 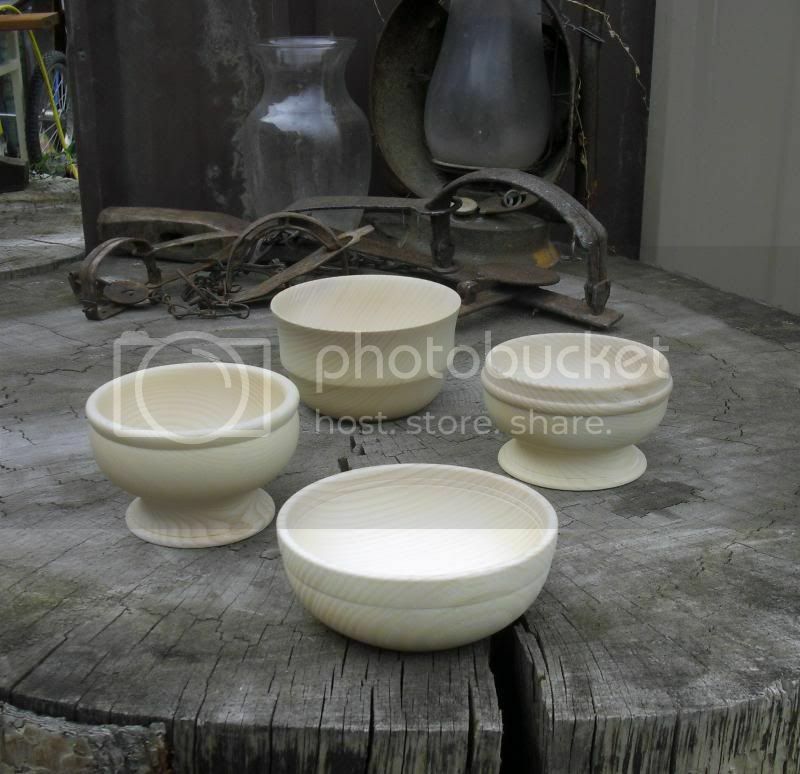 Lovely work Wes, the bowls look great. 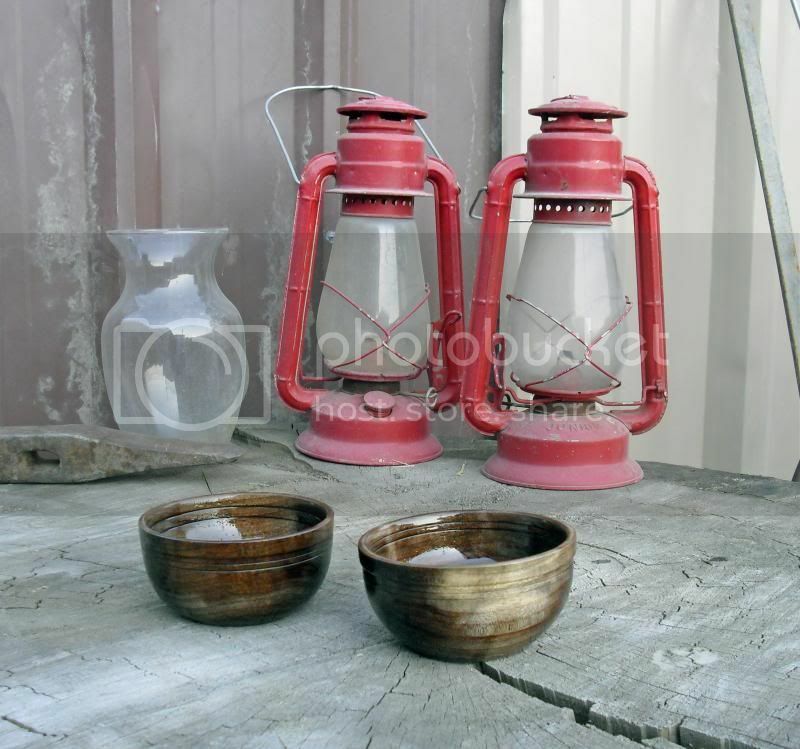 Well posed pictures as well rustic you might say. Still waiting for the next issue of the penny farthing story. The wood turning club I'm in has people do demonstrations once a month. Somehow I was tricked into doing it this month? Doing some research on the internet I ram across shrink pots. 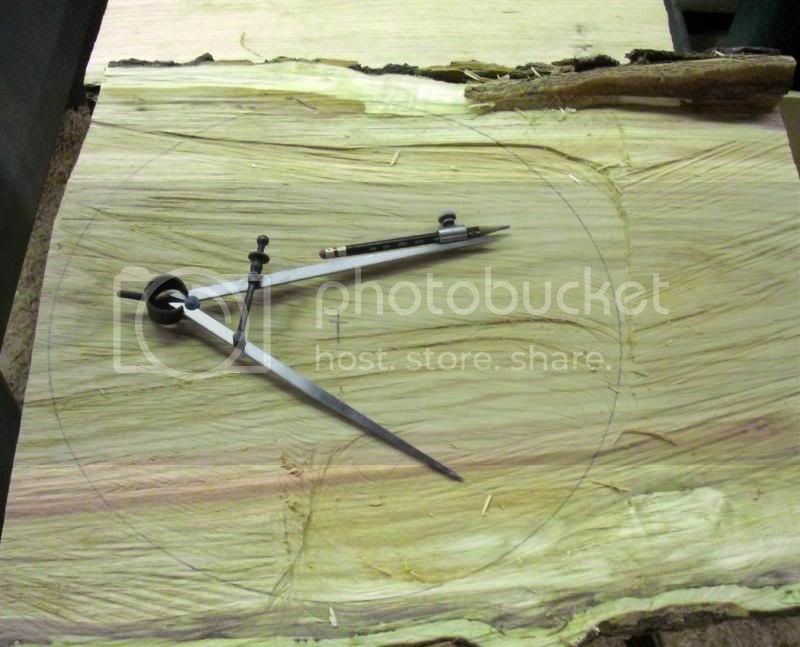 They are made by hollowing out the center of a green log and fitting a dry bottom into it. As the green part drys it shrinks around the already dried base. Here are a couple I did to try it out. I'm sure they would be water tight. I'm going to monkey around with this process a little more. After they are dried lids are fitted. Hope all are well!!! Thanks for the compliments! 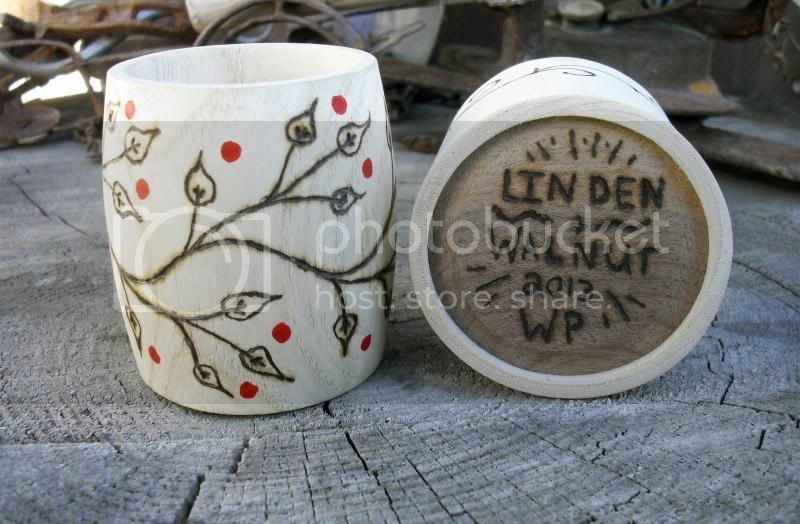 Hi Wes , quality stuff as usual , the shrink pots are a good idea too. 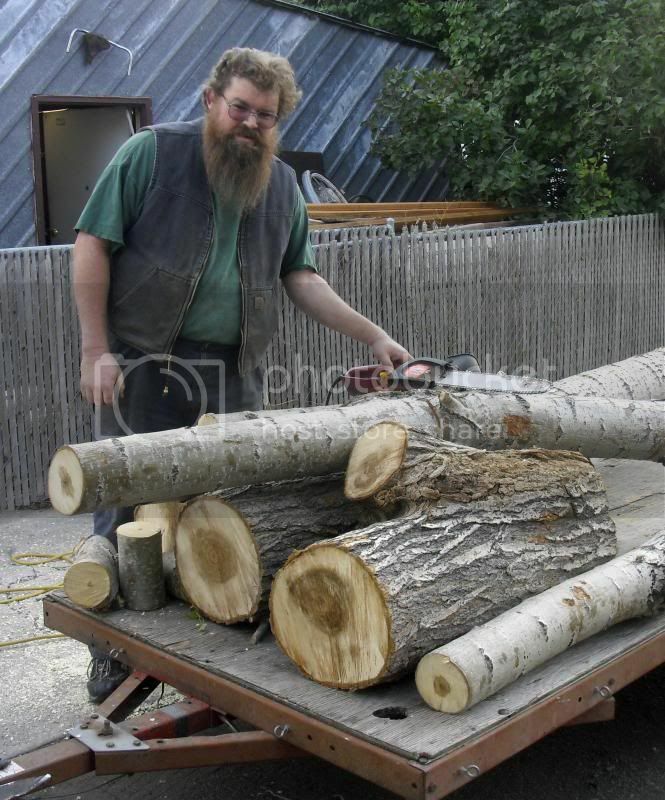 Thats not a bad collection of poplar you have been given there , as you say , that should keep you out of trouble for a while . It sure looks like you are having fun. Those shrink pots are new to me but I can see lots of possibilities. It is amazing what you can find inside a twisted up knotty chunk of wood. Keep having fun. Wes, great work as usual, and I'd also never heard of shrink pots before. Cool idea! 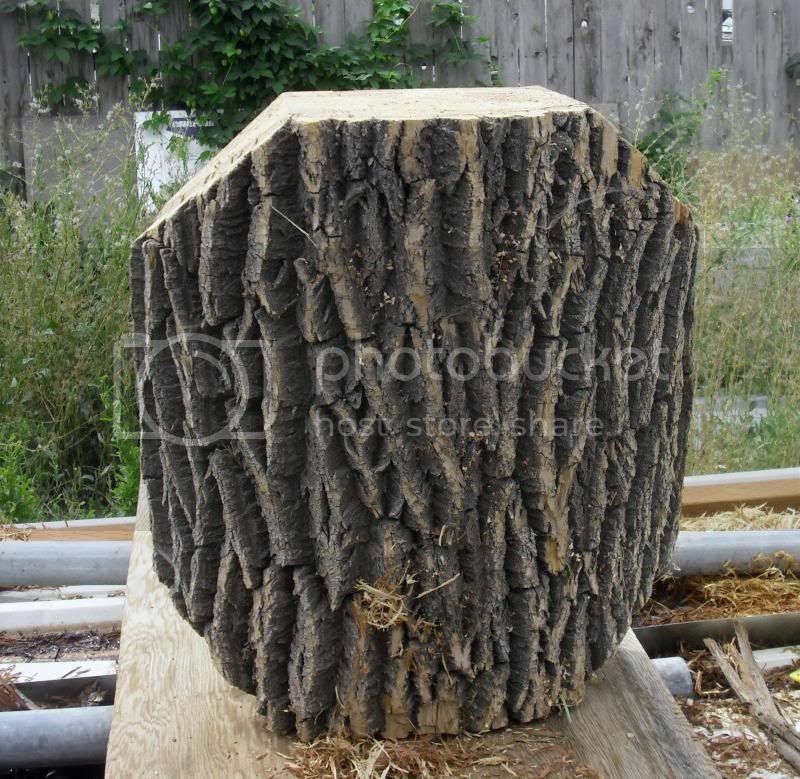 I once sawed up what they call "popple" (poplar) around here -- looks very much like what you have there. But it was really eastern cottonwood. It really went nuts after sawing though, warped and twisted up into bananas instead of boards, also split and checked like crazy, so I've stayed away from it since then. Too bad because I have a lot of it growing here. 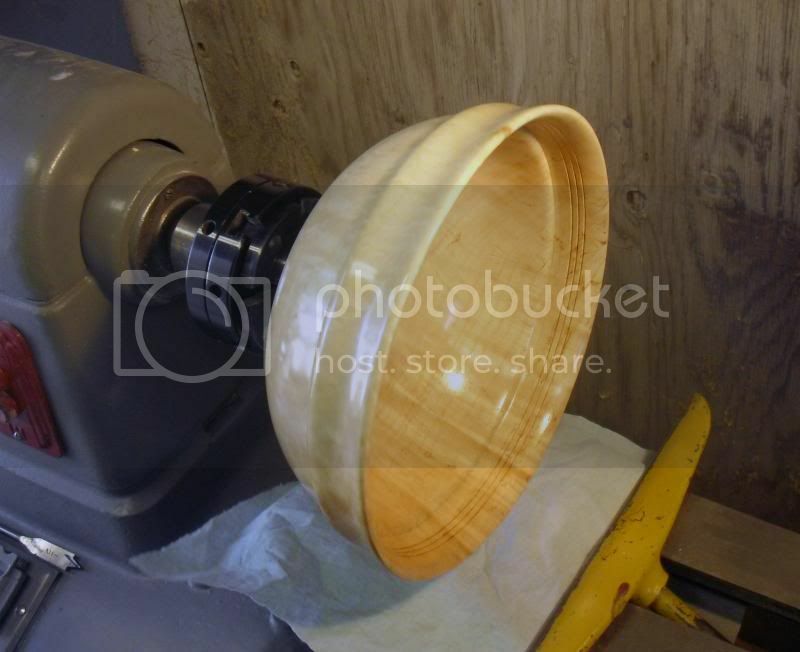 I was wondering if it could be turned on a lathe, though and whether the small size, thin walls and round shape of a bowl would help in drying it and keeping it stable. It would be great to use it for something. It's not good firewood. I have two trees I'd love to cut, right in front of my house that are 2 feet across and probably 90 feet tall. But the mess that would result with no purpose for the wood has stopped me. Anyway, very much looking forward to what you do with it and how it works out for turning. Keep up the good work! 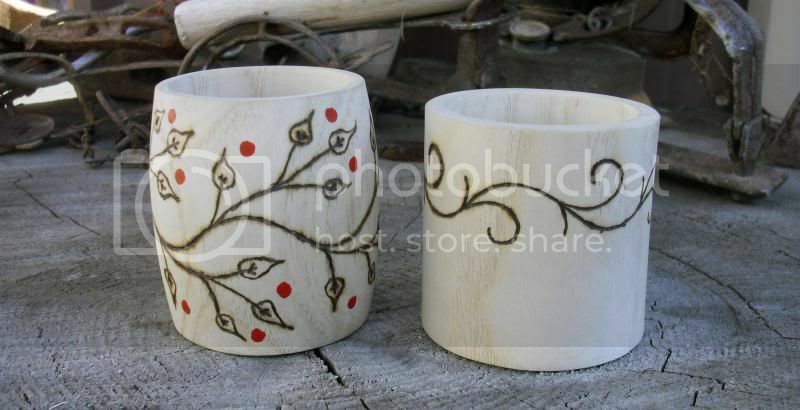 Lovely work, really like those "shrink pots" and the light coloured goblets. 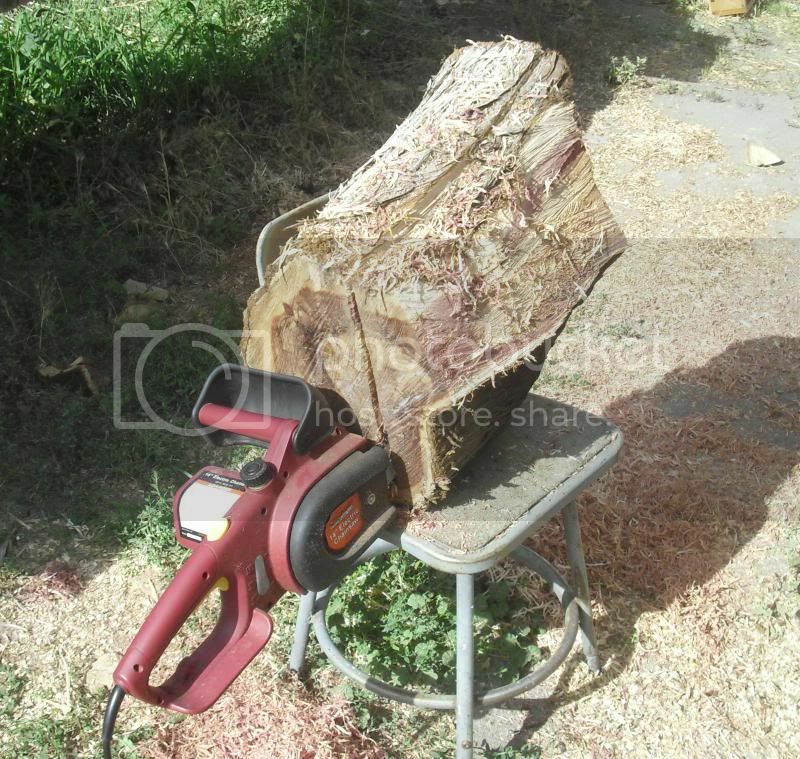 I got a hold of a couple pieces of Russian Olive. 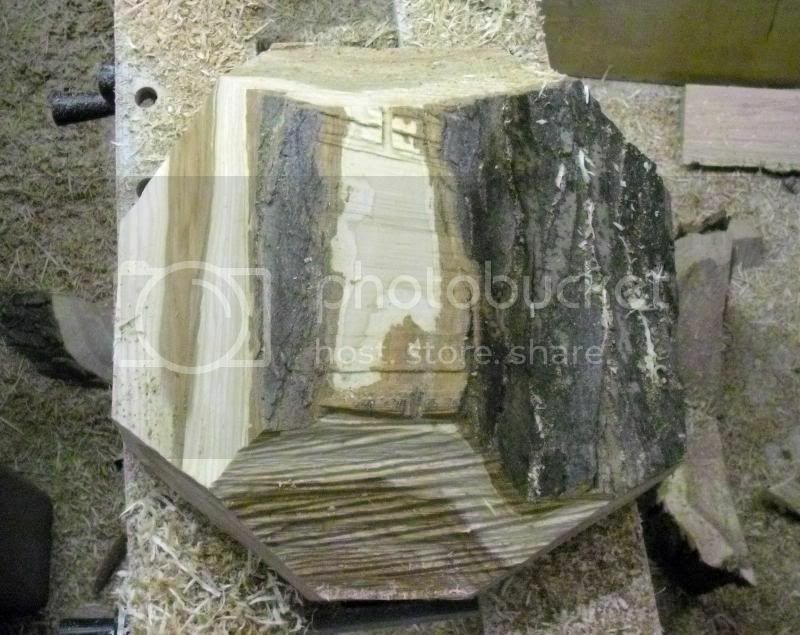 And a piece of Sycamore. I tried a couple more things yesterday. I am starting to get the hang of shear cutting. I also turned a couple goblets. These were fun! I'll be making a few more. 3" in diameter and 4" tall. 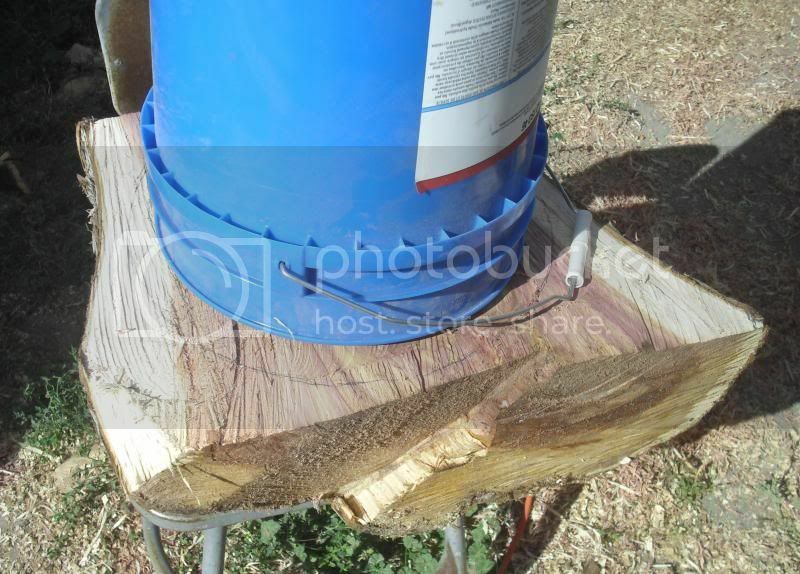 Last weekend I was given a couple large pieces of Honey Locust. I was finally able to spin it and find out what was hid inside this big piece of wood. The tree was half dead. 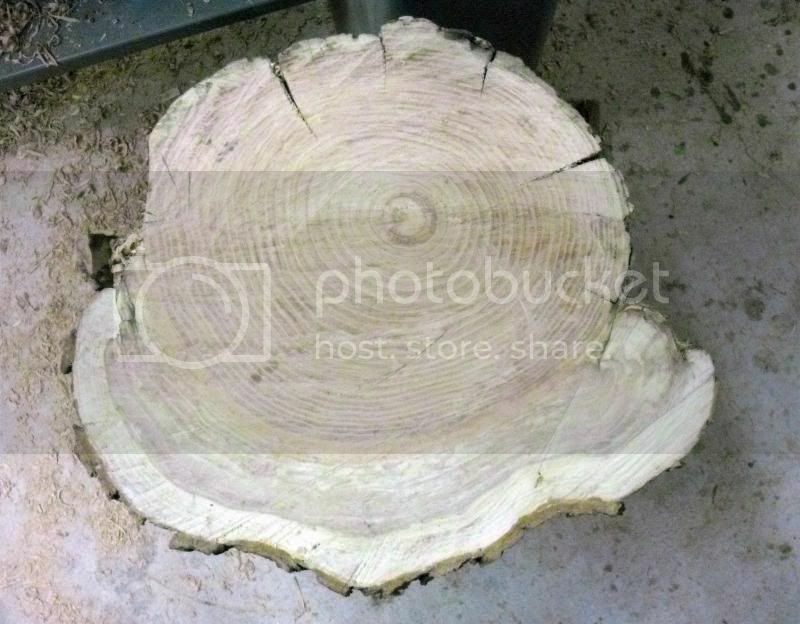 I cut the log in half and marked how I was going to cut it up. 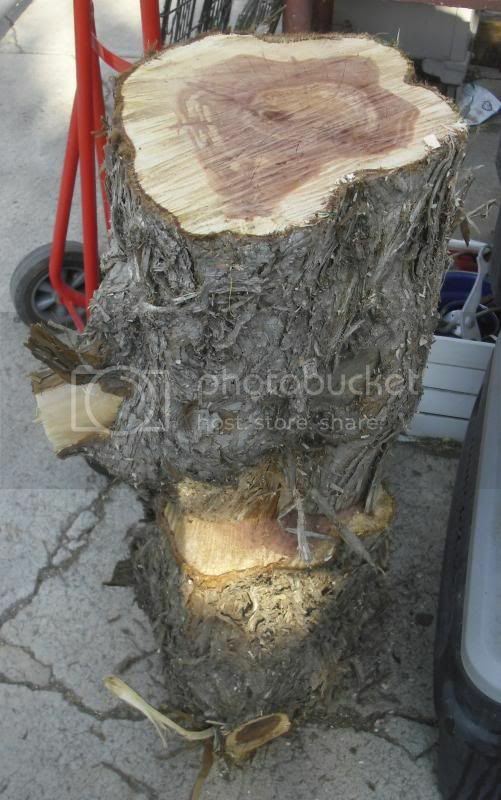 I then trimmed up the corners a little with my chainsaw. 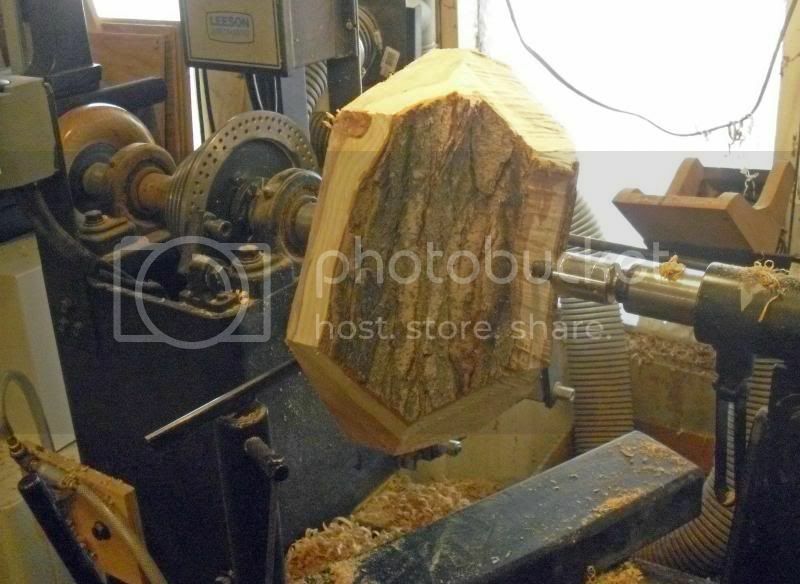 A friend of mine has a big homemade lathe. I took the chunk over to his place to turn it. Here it is set up between centers. There was kind of a flat spot on one side. 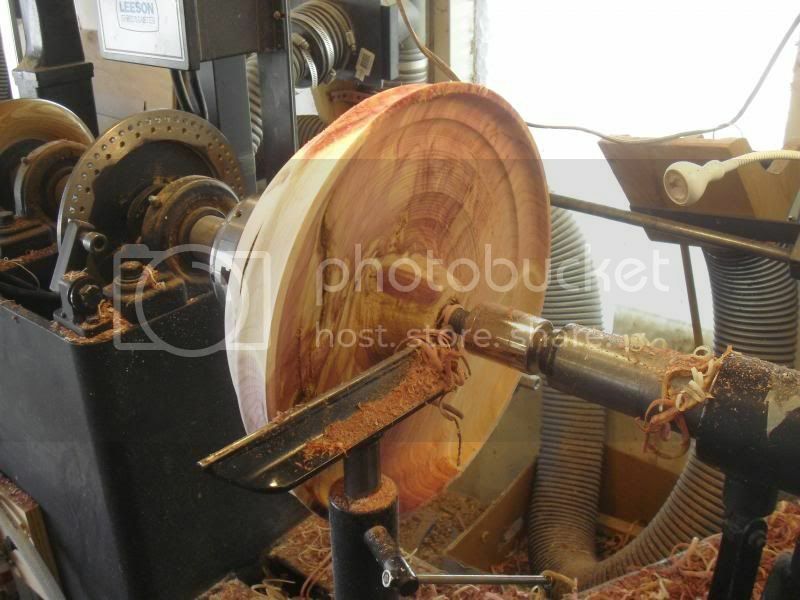 That made the bowl a little shallower than I had planned. 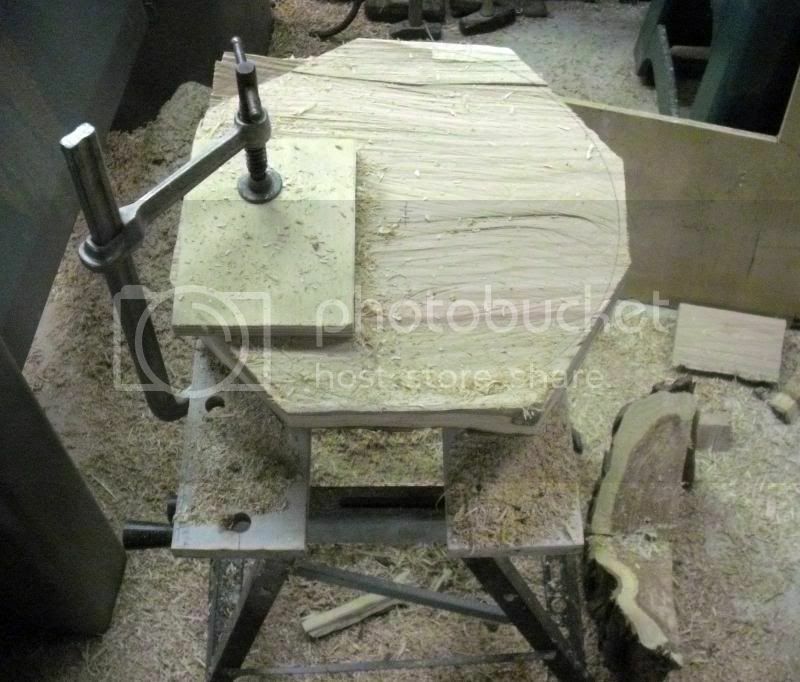 A lot of the time the shape of the log will determine the shape of the bowl. I was careful to leave the piece as big as I could. Once I got to this size I started refining the shape a little. Once I got it looking good I added a couple beads. They make it look pretty nice. I then turned it around and scooped out the inside. 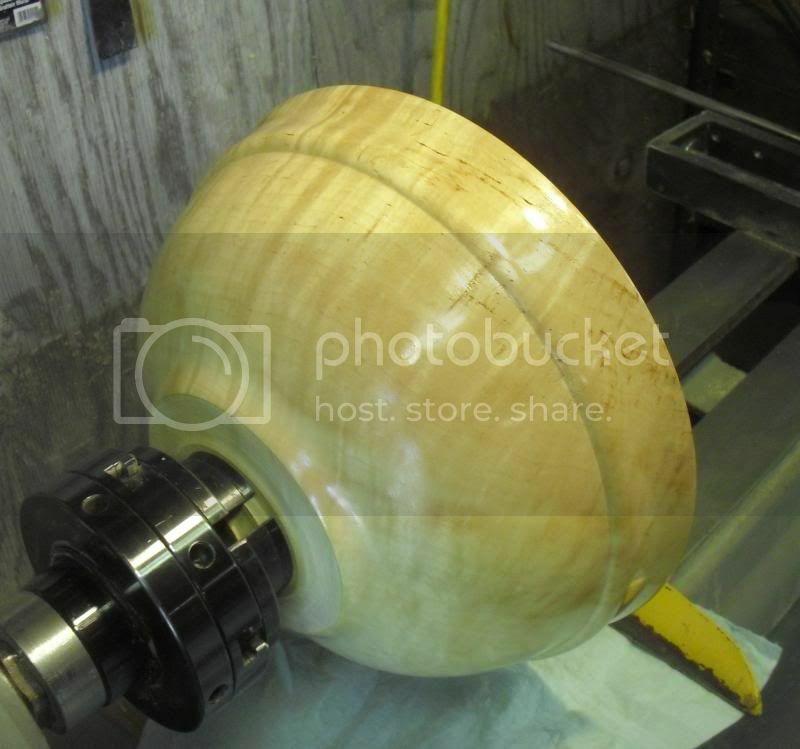 I'll post pictures of the finished bowl tomorrow. I ran out of light today. 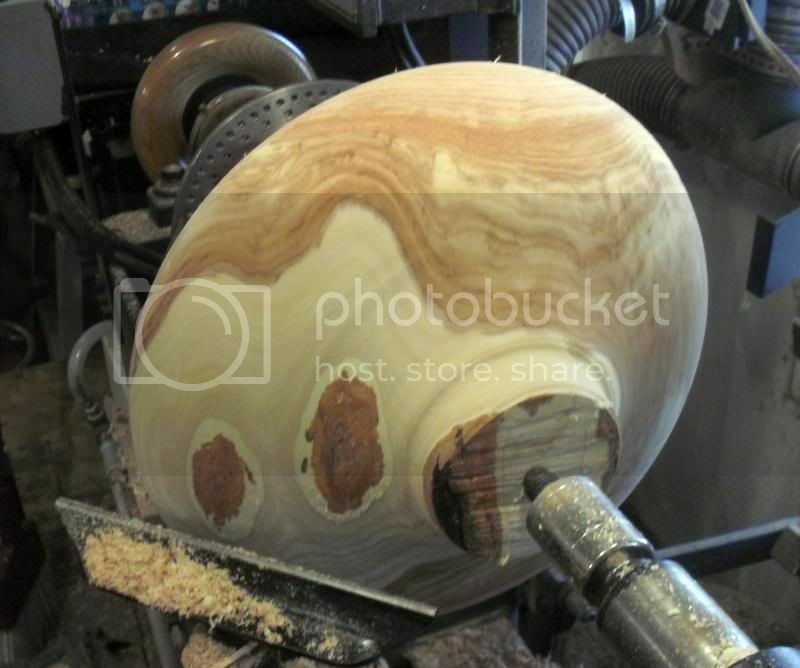 It ended up being 14 1/2" in diameter. I haven't looked in a long time. Very nice work... I am super impressed. Looking very nice indeed. 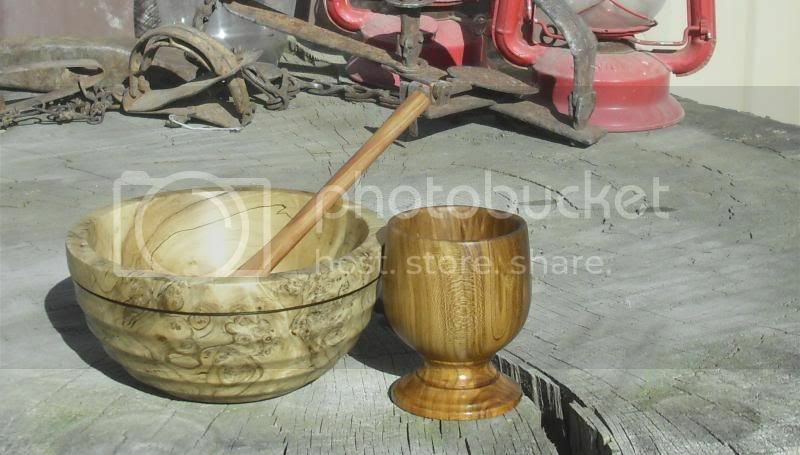 I can just imagine the fun that you are having watching those bowls and goblets pop out of the wood pile. 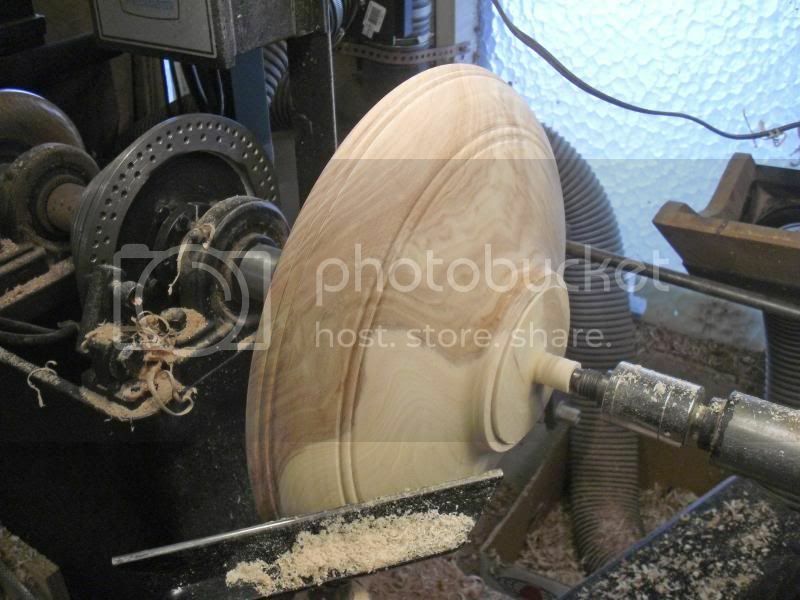 That looks like a very sturdy lathe that your friend has built for the big stuff. Thanks for sharing this with us.